Are you looking for the best beaches in Mykonos? After Astypalea, Mykonos is probably our favourite Greek island. Here we’ve collected the 12 best Mykonos beaches, perfect to party, relax, enjoy sports… whatever, really! 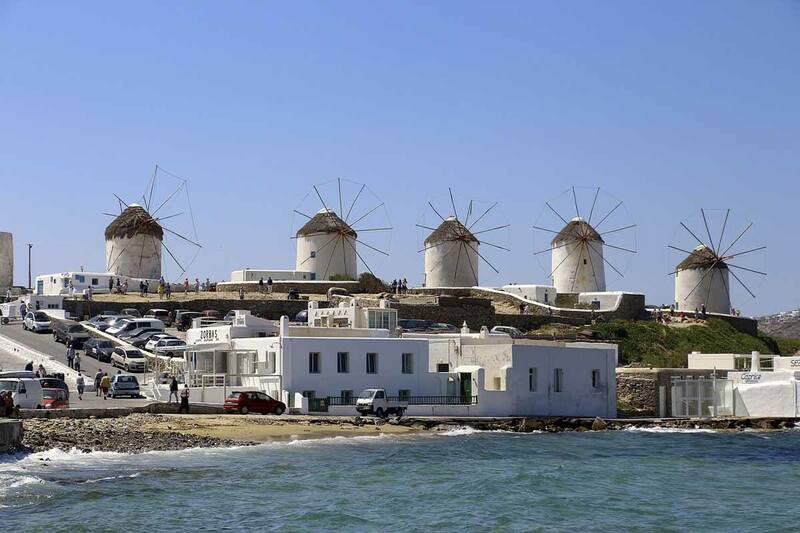 Mykonos is truly one of the best Greek islands to visit – it has amazing beaches, cute white houses, windmills, … and parties. I mean, come on, who hasn’t heard that? 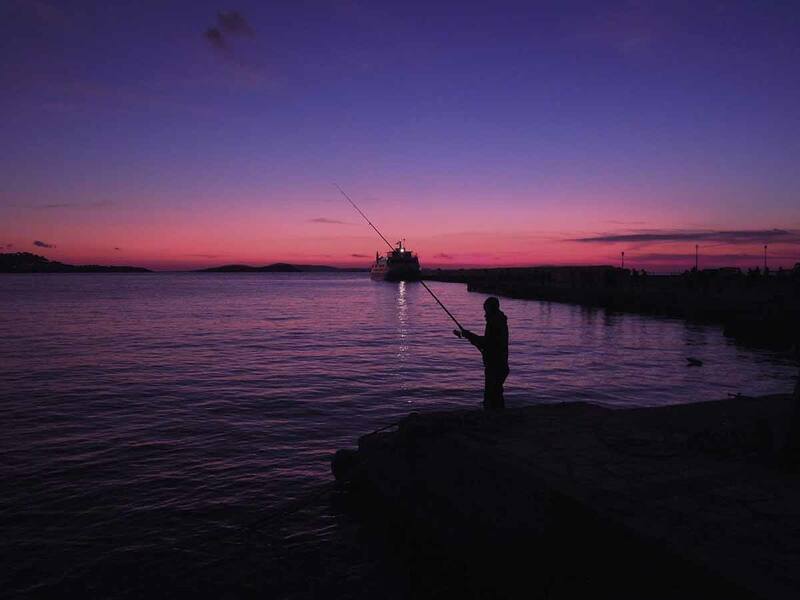 Over a decade ago, I found myself on a ferry crossing the Aegean, leaving Athens bound for this island that was described to us as ‘the place with the best parties this side of Ibiza’. I can’t remember much of the parties – but oh boy, I do remember the beaches! And I also remember the kittens! There’s nothing better than lying on one of Mykonos’s best beaches to rest and recuperate after a night of revelry, basking in the warm Greek sun and jumping for a dip in pristine Mediterranean waters when it all gets too much. The beaches in Mykonos are often mentioned among the best in the Mediterranean – and unlike several Greek islands where beaches are mainly rock and pebbles, Mykonos has plenty of wide, sandy beaches, perfect to relax with a cocktail in hand, enjoy water sports or get the party going. Most beaches are located along the southern coast of Mykonos – the northern coast gets very windy in July and August, but having said that, if the crowds are too much for you, retreating to Mykonos’s northern beaches is actually a great idea! 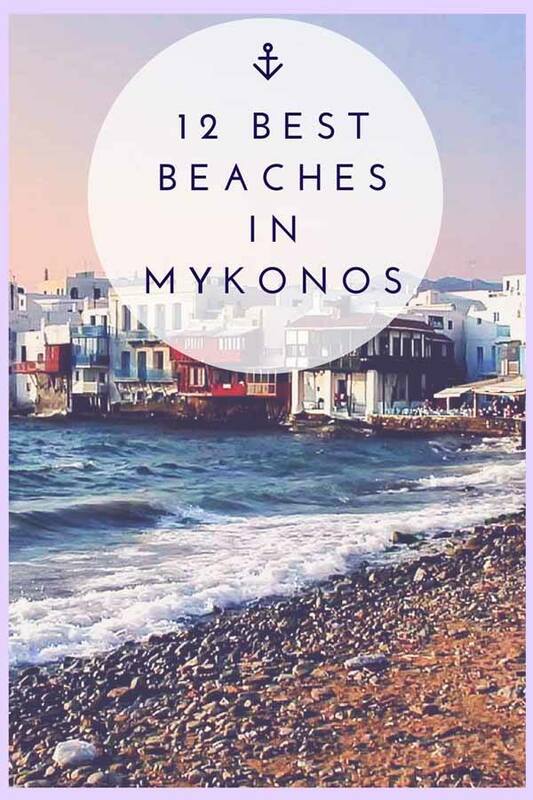 Here is our selection of the 12 best beaches in Mykonos, chose from over 30 in the island – if we have forgotten your favourite, feel free to let us know! 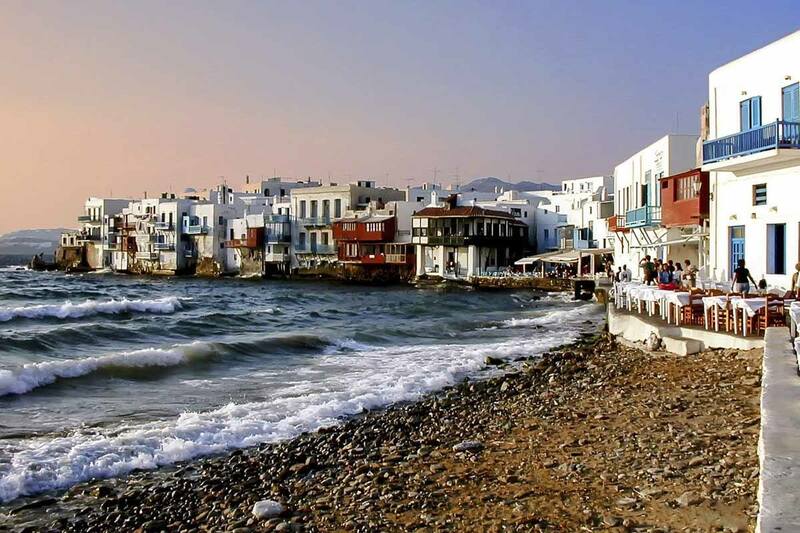 This is one of the best known and most popular beaches in Mykonos. It’s popular with young crowds, and offers a fantastic vibe just 6 km from Mykonos Town. Here, you can party non-stop, and also opt for a variety of water sports, or arrange a diving or snorkelling expedition. Paradise beach is surrounded by bars, and it gets lively from sunset onwards. 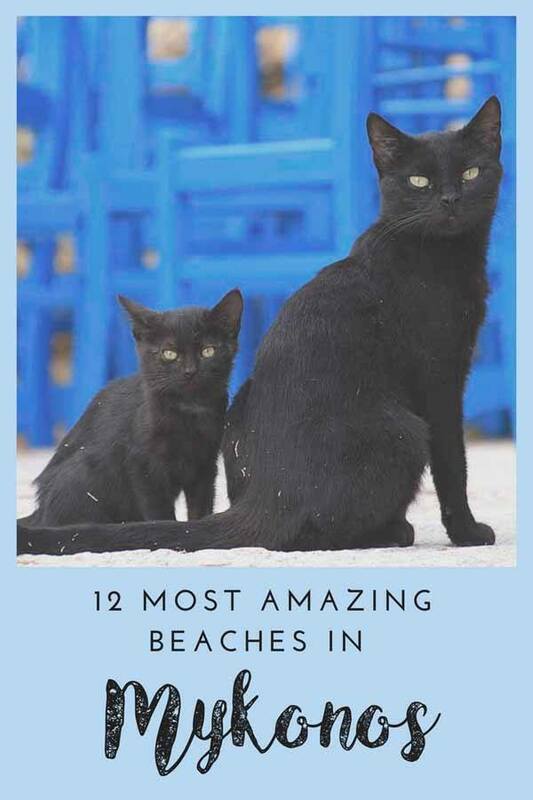 It’s traditionally the best gay friendly beach in Mykonos, but now it’s frequented by all kinds of people. Also nudist-friendly. Nor far from Paradise Beach, Super Paradise is truly picture-perfect – imagine a beach with soft, golden sand, turquoise waters and a lively atmosphere, truly a great place to spend the day. However, this all comes at a price – it’s one of the busiest beaches in Mykonos! Just ensure you arrive early because it gets crowded quickly, especially during high season. Super Paradise can be accessed by bus or taxi boat, and is also gay-friendly. 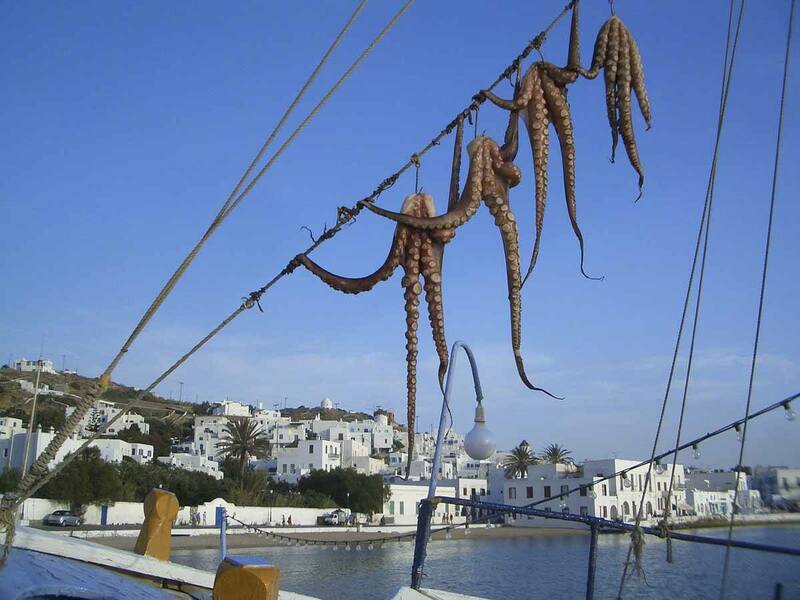 ‘Hanging Octopus’ – a common sight in Mykonos! Ornos is ideal for families and those in search of a quiet atmosphere. It’s well-developed, family-friendly beach about 3km from Mykonos Town, all set up with umbrellas and sun loungers, with many restaurants and cafes, located in a beautiful bay with amazing views. Great for water skiing, diving, and windsurfing, and a tad more relaxed than Paradise and Super Paradise beaches. Looking for Mykonos Tours? Check out these Special Offers! Elia is one of the longest beaches in Mykonos and offers lots of facilities, including beach bars with famous DJs often visiting. It’s an excellent option for families and those loving parasailing, water skiing, and windsurfing, and also for those looking for beautiful views and a quieter atmosphere – the beach is located 11 km from Mykonos Town, and fewer people make it this far. Since it’s very long and has many hidden coves, Elia Beach is also popular with nudists. Doesn’t Elia Beach look wonderful? Hidden away on the southwest of the island, lovely Agios Ioannis beach is ideal for those looking for privacy and serenity even during high season. The beach is truly one of the best in Mykonos – it has splendid views of Delos island, the UNESCO-listed site just off the coast of Mykonos, green-blue waters perfect swimming, soft sand, and a couple of wonderful family-run tavernas, Agios Ioannis beach is truly the perfect getaway to enjoy some quiet time under the sun. Another wonderful choice for those looking for a Mykonos beach with no crowds! There’s no bus service to Agrari, it’s necessary to walk from Elia, but those who do will be rewarded with soft white sand and cobalt sea. If it wasn’t so expensive, Psarou would probably be the best beach in Mykonos! The stretch of sand will leave you speechless, with its stupendous bay, turquoise waters, and golden sand. 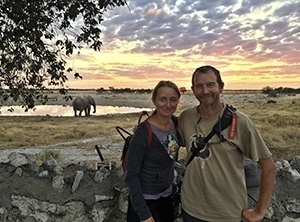 Things to do on Psarou beach include scuba diving and snorkelling, eating and drinking at the many bars and restaurants onsite, including the renowned Nammos beach bar and restaurant. This is not a cheap or quiet beach, but it’s definitely worth visiting, at least, once. Windsurfing is one of the most popular water sports in Mykonos, and Megali Ammos is one of the best beaches in Mykonos for wind lovers. Those who just want to sunbathe and swim might feel a bit uncomfortable, as the wind is quite strong – but if it is wind you’re looking for, this place is a good bet. 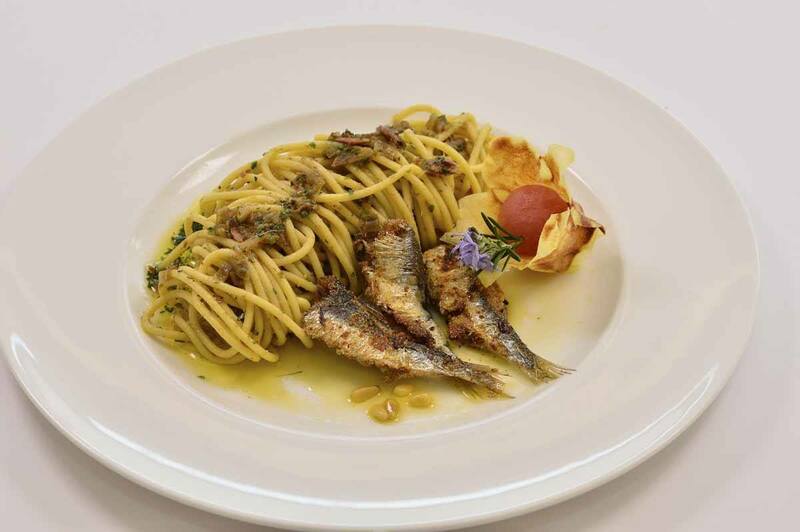 Don’t miss visiting Ioanna’s Nikos Taverna on the beach – the home-cooked food is excellent! This is another well-organised beach with tavernas, hotels, and cafes, ideal to visit when you just want to relax. Its calm waters, thin golden sand, and relaxed vibes make it a good place for families to spend the day. A headland separates the two sandy beaches of Paraga Beach, offering visitors two options, depending on what they are looking for – for this alone, Paraga Beach deserves to be mentioned as one of the best Mykonos beaches. The southern side is more quiet, and peaceful while the northern one is busier but also more organised, and it offers water sports, music, and tavernas. If you happen to be at Platis Gialos, Paraga Beach is only a 15-minute walk, making it ideal to experience two beaches in one day. It is also nudist-friendly. There’s no public transport to Fokos Beach and no tourist infrastructure – if you’re looking for the best secluded beach in Mykonos, you found it! There’s also an excellent family-run taverna right on the beach, making Fokos a great destination to escape the crowds! 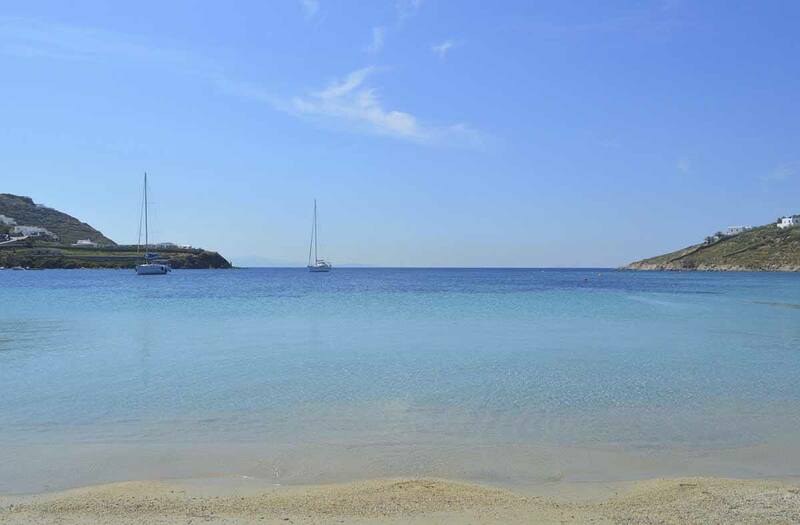 Another great option for those looking for a secluded atmosphere in Mykonos is Lia Beach, about 14 km from Mykonos town. The bay is sheltered and the turquoise water is always calm, making this one of the best swimming and snorkelling beaches in Mykonos. Don’t miss it! We only live once! When I visited Mykonos over 10 years ago, I stayed in crappy apartments and even in a campsite for a few nights. But what about visiting the best beaches while staying in a luxury villa in Mykonos? Now, this sounds like a good idea! 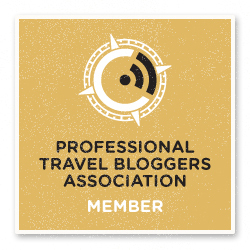 This post is written in partnership with Kinglike. 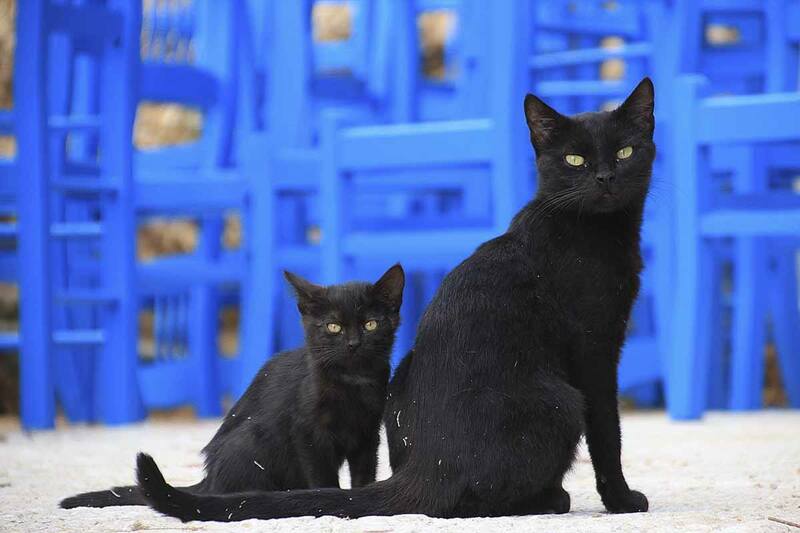 I was in Mykonos a little over 10 years ago, too. Probably around the same time as you? Great memories of the wild parties at Paradise Beach. Sadly, I spent most of my time there during my five day stay and barely scratched the surface of what Mykonos truly has to offer. My advice to your readers is to make sure you spend time all over the island and not just get fixated on one or two beaches. 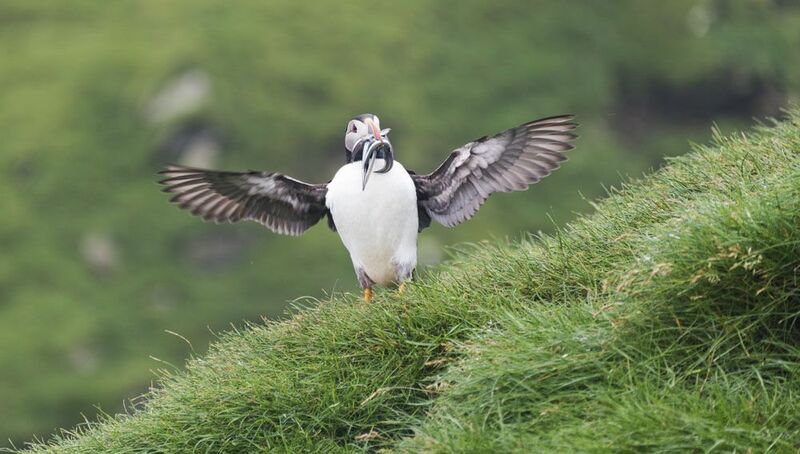 Otherwise, you might miss out on some hidden gems on this world famous island. That’s totally true Ray! That’s why we tried to add a few more beaches this time. Hope to visit Mykonos again soon!